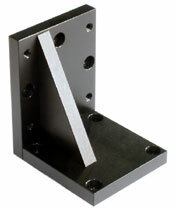 3UBP-03 Universal Base Plate is required to fix the stages to a flat surface e.g. 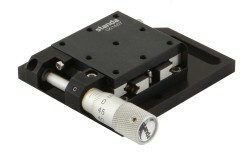 optical table. 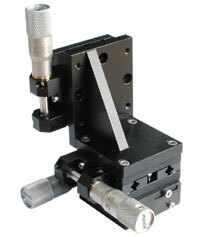 Reach travel minimum and maximum to gain access to four M3 mouting holes for direct mounting of the stage. 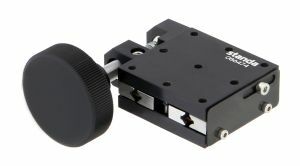 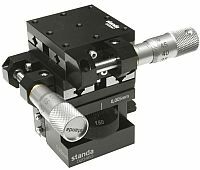 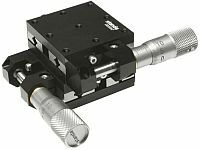 In the video below mini linear translation stage 7T184-13 is utilized in multi-axis manual positioning system (micromanipulator). 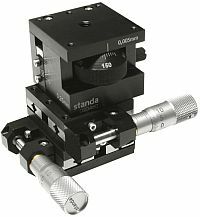 In the video below manual linear stage 7T184-13 is mounted vertically within multi-axis system.